← Calling all would-be romantic novelists! “Museum of Words” International Flash Fiction Competition now open! The Museum of Words (Museo de La Palabra) is a nonprofit foundation in Spain that organizes a flash fiction competition every year, with a $20,000 first prize! The IV edition of international award for “Museum of Words” microfiction is open. Writers from any country may enter their microfiction into the competition. Submitted stories must be original creations; writers are free to cover any subject. Stories must not exceed 100 words. 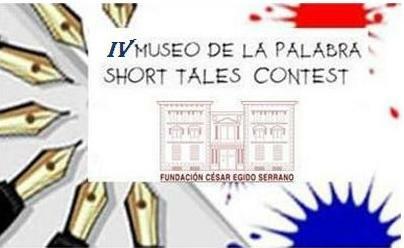 Entries must be sent exclusively by filling in the entry form that can be found on the foundation website: http://www.museodelapalabra.com/en/short-tales-contest/4-edition/participation-form or http://www.museodelapalabra.com/en/. All stories entered must be original, unpublished in all means (paper, electronic publications, network…) and have not been awarded in any other contest. Those who do not meet this condition will forfeit the entry. The author certifies that the story sent is of his own authorship. 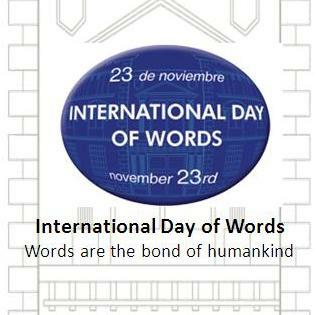 The competition will end on November 23rd, 2014 GMT+1, on the International Day of the Word as Bond of Humankind. The finalists will be judged by a selected jury. 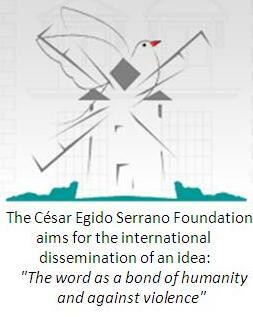 The list of finalist’s titles will be published on the website of the César Egido Serrano Foundation. This competition helps carry out part of the foundations activities. One of the goals of the Foundation is to unite people with words and dialogue. This is why the motto of the Museum of Words is, “Words are the bond of humankind.” Words being used by their double condition of communicative elements and language as cultural heritage of all human beings. In this competition (like in the previous), short stories may be submitted in Spanish, English, Arabic and Hebrew. This lists the languages in which the three monotheistic religions of the world express their religious feelings. The fourth edition is expected to exceed the level of participation of the third edition where over 20,000 writers from 119 countries entered. This entry was posted in For everyone and tagged flash fiction, Museo de La Palabra, The Cesar Egido Serrano Foundation, The Museum of Words. Bookmark the permalink. 36 Responses to “Museum of Words” International Flash Fiction Competition now open! It looks like there’s no entry fee – such a huge first prize for such a short story, is there a catch here somewhere? Ha ha ha! Yes, 100 words is really challenging, isn’t it? The writing is so paired down that it’s almost like poetry. I may try it just as an exercise in editing, but then again …. Does it mean we have time to send it on the 23rd (just before it reaches the 24th) of November as well? Or once reached the 23rd, is it already too late? so mandela:words and concord is just a slogan not a topic? no, i think it is the topic. Good luck! Does anyone know why they would ask for passport/ID information in their entry form? That seems a bit sketchy/strange to me, as I’ve entered international competitions that allow multiple entries before, but never been asked for this kind of sensitive documentation. I don’t know and someone else has mentioned this too. It does seem unusual. If I find out the reason, I’ll share it here. Good luck if you enter! Hey Joe, it is an unusual request. I did check up the site and its seems genuine but you are right to be cautious. Be great to hear from anyone out there who knows a bit more about this competition, or has even entered it in the past? Thanks for comment! I’ve mentioned this on my blog as well and planned to enter. But the passport info requirement has given me pause. Writing a story of 100 words has been a fun and interesting challenge and the prize is attractive. But I need some reassurance about the ID requirement. I’m going to try emailing them and see. Just came across this discussion on your blog while trying to research why this competition would ask for a passport number. 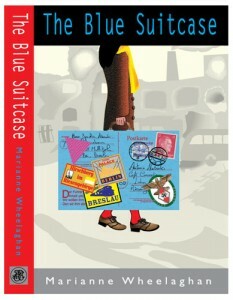 It seems to good to be true, with the prize money, so the passport info made me think “ah, here’s the catch”. But at the same time, this contest seems to have been around now for a few years and if it was a total scam I expect someone would say so. But I don’t know. I emailed the Museum of Words as well, but haven’t heard back yet. Anyone else get a follow-up? In Zimbabwe we don’t us zip codes what are we gonna do then? Maybe you could email them and ask what they suggest? Good luck! I cant enter this competition because they need a passport and I don’t have one. Are there any other legitimate contests (excluding writers digest and writers of the future) that I could enter? Hi Paulina, there are many competitions if you have a look on the internet. We’ve listed some here that may be of interest? 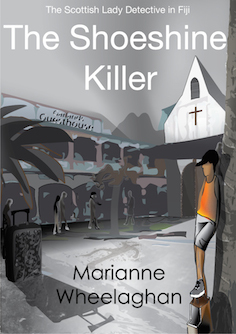 I sent two stories this competition.when result would be published? Hi Shaila, you will the details on their website. Good luck! You can’t tell from their site about the result publication. Do you have any clue when they publish the results? in April? May? Sorry, Moshe, I don’t know. It should be on there website somewhere. Hey, I know the submissions have been closed for a while, but saw some people still asking about the contest. I e-mailed the foundation, or group, whatever, back before I submitted to see what the deal with the passport number was. I don’t have mine either. They said ANY Identifying number/information was fine — it’s just how they make sure that folks stick to only submitting two pieces, rather than submitting dozens of pieces under different names, etc. I ended up just using my DL# and they said that was totally fine and folks do it all the time. As for when the results will be published: Anyone who did submit should have gotten an email a few weeks ago updating them to the status of the contest judging. They are only partway through the submissions — they have something like 45 judges and got over 30k submissions, so it’s just going to take a long time. They are not giving their judges a “deadline” because they don’t want them cutting corners or skimming entries. All seems good and fair to me 🙂 They’ve been very polite and forthcoming in their correspondence to me. 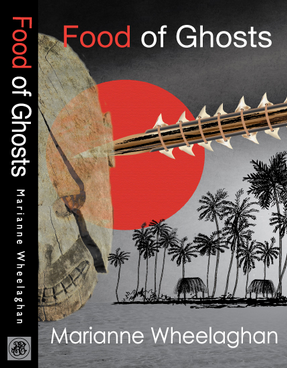 Hi I have never written any stories nor novels, or fictions before. I’m interested to have a go at this? Can a novice like me submit an entry? Or, is this only for those that are professional in this field? On the other hand, I’m concern about the passport ID matter. Is there any latest information about the genuineness of this requirement? Hi Rosaline, only just saw your message. The competition is now closed.